Thanks to some new Indoor Pools in Netherlands submitted every day, Swimia.com is escalating everyday the number of stored pools. Please don't hesitate to contact us if you ever get any inaccurate or incomplete information. The best pools to swim are certainly indoor olympic pools. Not all countries would be the exact same, and swimming regulations and rules are changing from one country to another. Swimia.com has the most up-to-date database about Swimming Pools. Please, use the contact info supplied at each pool profile. Looking for Indoor Pools in Netherlands? Many of them belong to gyms or sport centers which also provide lessons. Holding an estimated population of 598.199, Rotterdam is one of the most important cities in Netherlands. Check all of the Pool in Rotterdam and its surrounding area. Whereas Utrecht is one of the six most populous cities in Netherlands with almost 290.529 residents, you shouldn't miss that one if you're going to Netherlands. Without a shadow of a doubt, swimming in The Hague is the best way to unwind after perform. 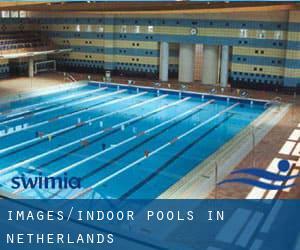 Take a couple of minutes to browse Swimia's catalog to find a Swimming Pool in The Hague. Let us let you know a secret to switch off whilst you're in Eindhoven: just select a Swimming Pool in Eindhoven and plunge into the water! There's no even more useful method. It's difficult to visit Netherlands without dropping by Tilburg (with 199.613 residents). 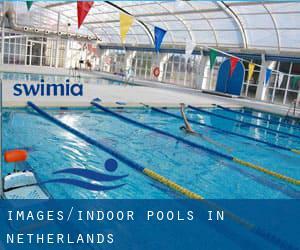 At present Swimia is showing you all the Swimming Pool in Tilburg as well as the closest pools located in its vicinity. Swimming is a wonderful thought to keep your body active during your visit to Amsterdam (Netherlands), or perhaps for anybody who is a local. Swimia helps you to find your closest Swimming Pool in Amsterdam. Updated on 2019 Schellingerlaan 20 , Driebergen - Rijsenburg (Postal Code: 3971 BX). This sports center offers 25 meters, 6 lanes, 1.4 meters - 3.5 meters depth, 1.4 meters - 3.5 meters depth, Indoors. Contact information for this Swimming Pool just like phone number and email address are number. Updated on 2019 Bosboom Toussaintkade 35 , Gouda (Postal Code: 2802 XA). This sports center delivers 25 meters, 4 lanes, Indoors. For this Swimming Pool, only phone number is number here. Updated on 2019 Dreef 7 , Aalsmeer (Postal Code: 1431 WC). Swimmers like you reported 25 meters, 6 lanes, Indoors. Phone number and e mail address are number for this Pool. Updated on 2019 Schubertstraat 1 , Elst (Postal Code: 6661 AW). This sports center provides 25 meters, 4 lanes, Indoors. Contact information for this Pool like phone number and email address are number. Updated on 2019 Weg naar Rhijnauwen 3 , Utrecht (Postal Code: 3584 AD). This sports center provides Olympic size x 20 meters, 7 lanes, Indoor/Outdoor. For this Swimming Pool, only phone number is number here. Updated on 2019 Reidingweg 6 , Drachten (Postal Code: 9203 KR). This sports center provides Olympic size, 8 lanes, Indoors. Contact info for this Swimming Pool similar to phone number and email address are number. Updated on 2019 Bookholtlaan 11 , Losser (Postal Code: 7581 BB). Among all of the activities offered by the center, if you are interested in swimming you can expect to take pleasure in 25 meters x 15 meters, 6 lanes, Indoors. If you need to make contact with this Swimming Pool, email address and phone number are both number. Updated on 2019 Drie decembersingel 52 , Stadsdeel Blerick , Venlo (Postal Code: 5921 AC). This sports center delivers 25 meters, Indoors. Contact knowledge for this Swimming Pool such as phone number and email address are number. Updated on 2019 De Uithof 1 , Harmelen (Postal Code: 3481 XT). Among all the activities supplied by the center, if you are interested in swimming you can expect to enjoy 25 meters x 15 meters, Indoors. If you have to get in touch with this Pool, email address and phone number are both number. Updated on 2019 Parklaan 3 , Zwijndrecht (Postal Code: 3335 LM). Among all the activities provided by the center, if you are thinking about swimming you can expect to enjoy 25 meters, Indoors. If you need to contact this Swimming Pool, email address and phone number are both number. Updated on 2019 Oostervantstraat 25 , Rotterdam (Postal Code: 3002 EC). This sports center provides 25 meters, Indoors. Contact information for this Swimming Pool just like phone number and email address are number. Updated on 2019 Badweg 5 , Bolsward (Postal Code: 8701 XG). Swimmers like you reported 25 meters, Indoors. Phone number and e-mail address are number for this Pool. Updated on 2019 Scholtenhagenweg 32 , Haaksbergen (Postal Code: 7481 VP). This sports center provides 25 meters, 5 lanes, Indoors. Contact knowledge for this Swimming Pool like phone number and e-mail address are number.